Since the talk on the climate started in Rio de Janeiro, Brazil at the Earth Summit in 1992 and again in Rio de Janeiro, Brazil in June 2012, dubbed as the Rio+20 Review, the focus has been on sustainability. Sustainable development is taken to mean equal effort being devoted to economic growth and social welfare, as well as to environmental outcomes. In other words sustainable growth with equity would mean eradicating poverty, as well as preserving the environment, as underlined by the outcomes of the Rio+20 Conference. This shows that the R&D effort of the Malaysian Palm Oil Board (MPOB) has not slowed down, but has been strengthened by adhering stringently to the outcomes of the annually held United Nations Framework Convention on Climate Change (UNFCCC) negotiations. This requires the palm oil industry to tackle the challenges in meeting the growing worldwide demand for palm oil as food, while at the same time has to demonstrate the sustainability of its products and operations. Sustainability has more than just environment to deal with. Its ambit of influence can also reach out to businesses, treat their employees and relate to the communities in which they operate. The growth of the palm industry in Malaysia has been phenomenal. From a mere 400 hectares planted in 1920, the hectarage increased to 54 000 hectares in 1960. Since then many more areas have been opened up for oil palm cultivation, either from virgin jungles, or from the conversion of plantations that originally supported rubber or other crops. This increase in hectarage is a direct consequence of the government’s policy on crop diversification. 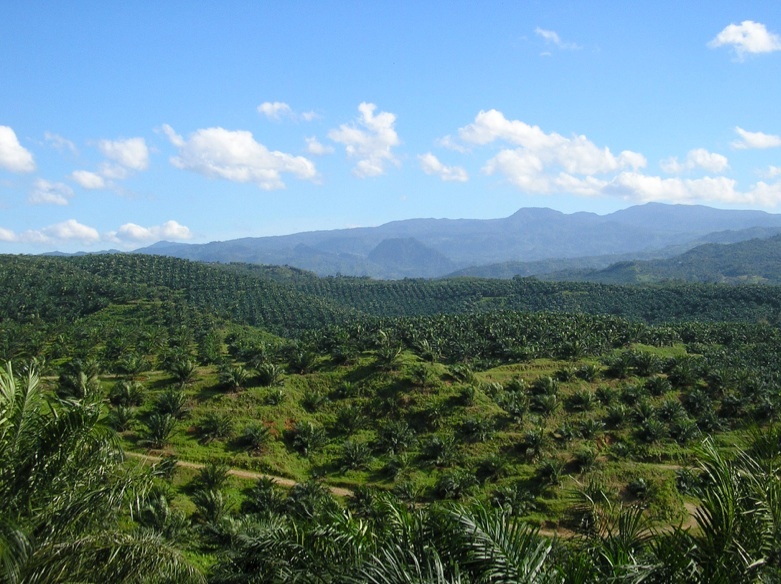 By 1996, the hectarage under oil palm stood at a staggering 2.6 million hectares. By 2005 and 2010 the percentage change in the areas under oil palm was around 20% for each five-year period. In 2011, the hectarage reached 5 million hectares, and the change in area in 2011 was only three percent as compared to 2010. This rapid growth in oil palm planting has been seen in five-year period 1965 – 1970; 1970 – 1975, and even in 1975 – 1980, due to the crop diversification programme. It also saw a corresponding growth in the milling and refining sectors. Encouraged further by the government’s incentive to exploit the country’s rich agro-based resources, oleochemical processing from palm oil and palm kernel oil began to gain prominence in 1980’s. A rapid increase in both downstream and upstream activities would normally have resulted in significant environmental pollution. This however was not the case with oil palm. In the early years of oil palm development, certain practices such as open burning and pollution of water ways by oil palm mill had an impact on the environment. Nonetheless the industry has moved ahead and has greatly improved its environmental friendliness. Laws and regulations have been enacted to this effect, in order to prohibit and control such activities. As an industry, oil palm takes pride in its initiatives to improve its environmental friendliness.